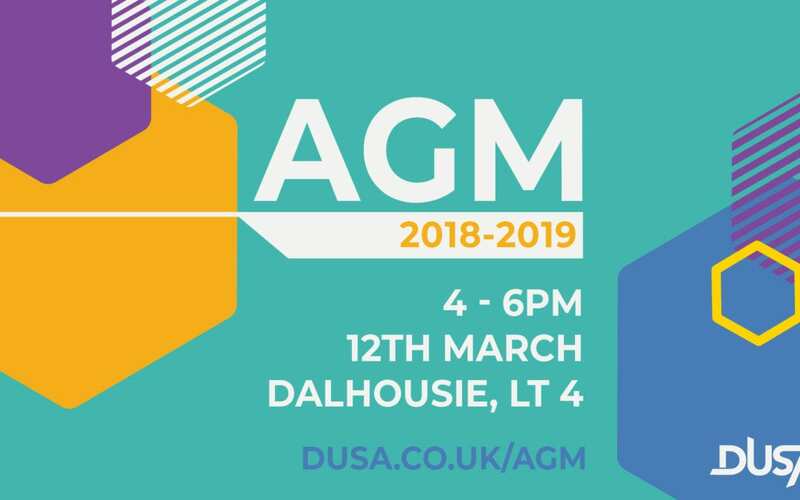 The Annual General Meeting (AGM) is one of the most important meetings of Dundee University Students’ Association (DUSA) and it is where our ordinary members (current and matriculated students of the University of Dundee) get to meet, find out what DUSA has been doing, what its plans are and also to prose new policy or constitutional change. The AGM is held once a year usually in the second semester and this guide has been designed to help you understand what the AGM is and how you can get involved. If you would like to submit an AGM motion for discussion please read our guide, then submit your motion using the form below.